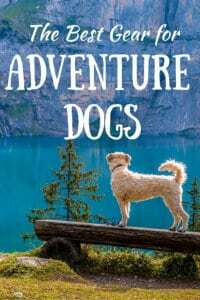 Do you have an adventurous dog in your life? A dog that is up for anything — rain or shine, day or night? In the past decade, we’ve had the privilege of raising seven pups for Guiding Eyes for the Blind, and each one of those pups has encouraged us to explore more. We’ve hiked mountains, paddled lakes, and camped under the stars together — our pups’ boundless energy inspiring us along the way. With all the puppies bouncing into our lives, it’s not surprising that we’ve tested a lot of gear, from travel and training gear, to outdoor essentials. If you’re still searching for that perfect gift for your favorite adventure companion, we’ve got you covered. These are our favorite gifts for dogs who love adventures. Does your dog love a good road trip? I know mine does! The following products make life easier and safer for traveling with dogs. We find it really helpful to give our dogs a special chew toy before heading out on long road trips, and their favorite are Benebones. These bones are durable, long-lasting, and tasty. They are made in the USA of just nylon and meat. My dogs love the bacon-flavored Benebones, but they make them in chicken, peanut butter too. To keep the excitement alive, we have Benebones that we only use for car rides. Is is any surprise that our dogs always get to the car before we do? Adventure dogs are dirty dogs, and I wouldn’t have it any other way. This hammock-style seat cover installs easily over the back seat of our car to protect it from dirt, mud, drool, and fur. It’s totally waterproof and washable, and makes cleaning out the car a breeze (I still have to do the windows constantly). When it’s just me and the dogs, I keep the car seat cover installed, but if my taxi services extend to humans, I keep the cover folded up in the trunk, just in case. I especially love it after a day at the beach – my car doesn’t love wet dogs. Also, I’ve tried a few different brands of seat covers, and this one has lasted the longest so far. None of them last forever, especially if you wash them a lot. The safest place for a road tripping dog is inside of a secured crate. Because we don’t have room for a crate in our car, we make use of the second-safest option — a safety harness that attaches to a seat belt in the backseat. A harness will keep you dog from flying around if you’re ever in an accident, and it will also keep your dog from bolting into the road if you (or someone else) leaves the door open. Wearing the harness didn’t come naturally to my dogs, and they did get tangled up in the seat belt a couple of times. Like any new process, it just took a bit of practice to get it right. 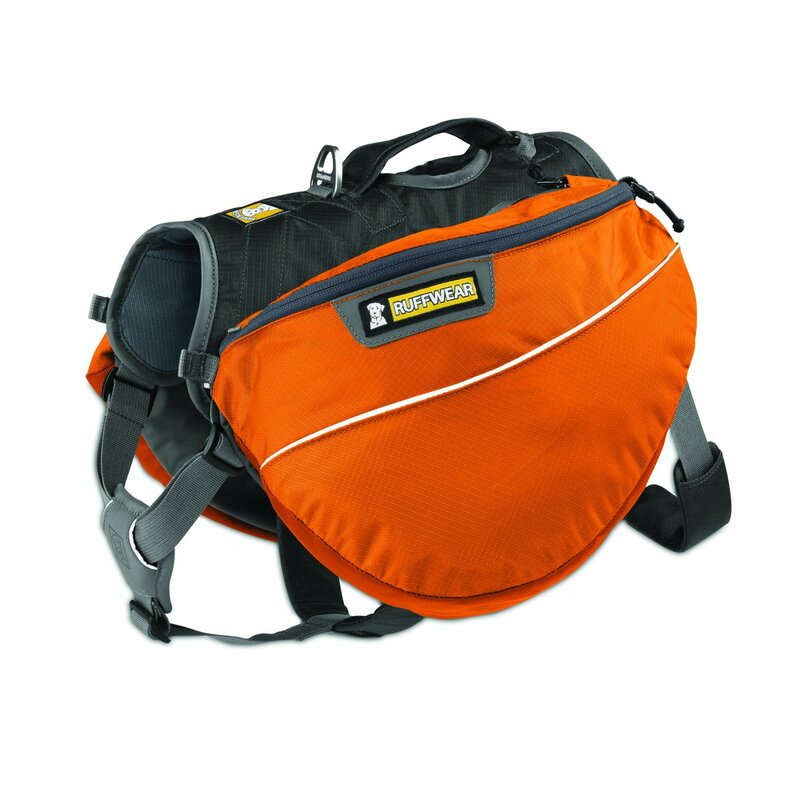 The Solvit harness is adjustable, padded, and comes in four sizes. Our Labrador (70 lbs) wears a large, and our shepherd (also 70 lbs, but very tall) wears an extra large. 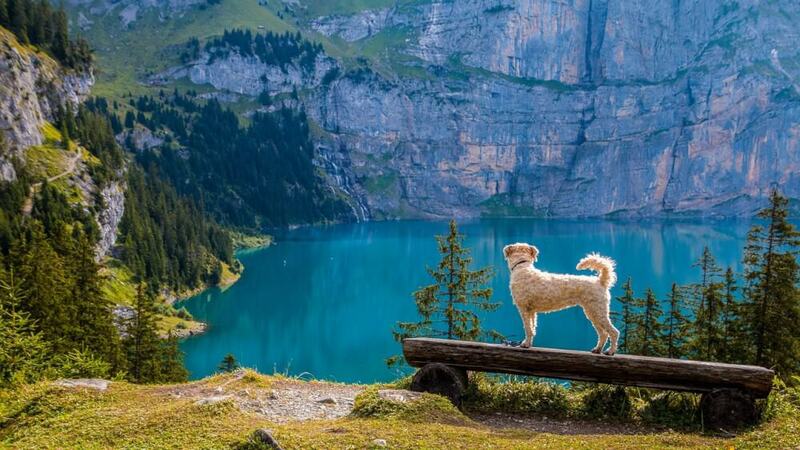 Hiking with dogs is one of life’s greatest pleasures. Dog’s won’t complain about steep verticals, they have boundless enthusiasm, and they’re fabulous motivators. Here are some of our favorite products for hiking with dogs. We worked and played with dogs for years and years before discovering biothane leashes, but now I don’t know how we ever managed. These leashes are 100% waterproof (and they don‘t get stinky), incredibly durable, and comfortable to handle. They are also made in Pennsylvania, USA. While training and walking in town, we use a six-foot leather leash, but on hikes we give our dogs a bit more freedom with a 15-footer. Our first biothane long line only lasted a week because somebody left it on the back seat and a puppy chewed it up. Our second one has lasted 8 years, and it is still going strong. You just never know when one of these Kurgo collaps-a-bowls will come in handy while hiking, especially if you’re hiking where there aren’t sources of naturally occurring water. I’ve lost count of how many of these we have, but we always put them to good use. Keep one in the car and one in your pack, and your dog will never go thirsty again. It took our dog a whole season to fall in love with winter. He lived for several years in New Mexico, and came back to us in the middle of February in Vermont. Snow was a sworn enemy for a while, but he’s adjusted. 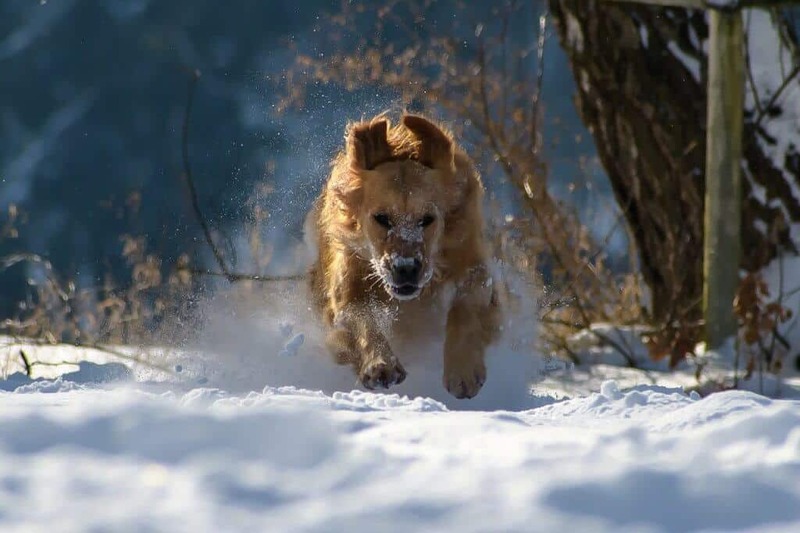 Here’s some of our favorite gear for dogs who love winter adventures. Most dogs will take to booties after a bit of practice, but some dogs will just throw a fit. Only you know which dog you have. Our labs don’t love wearing boots, but they do get used to them, and boots are great for protecting furry feet from salted roads and icy trails. The Ruffwear Summit Trex are great for everyday use. They stay securely on your dog’s feet, and are super durable. They’re also great for walking on hot pavement in the summer. I didn’t think I’d be one of those people that makes our dog wear a coat in the winter, but on really cold days, our pup appreciates the extra warmth. Not all dogs will need a winter coat, but I think they’re awesome for breeds with short fur. The Kurgo Loft Dog Jacket is durable and reflective, plus it comes with a lifetime warranty. It’s not super heavy, but perfect for active dogs who just need a little insulation. We love the orange/blue jacket for high visibility during hunting season. It gets dark so early in the winter, often before we’ve headed out for our second walk. Nite Ize makes a few different LED products for keeping dogs safe, and since we were part of the Nite Ize field team in 2017, we tried them all. You can get collars with built-in LED lights, LED necklaces, and these super clip-on lights, which clip onto a color with a little carabiner. They are, far and away, our favorite — just enough light to alert cars of our whereabouts, but not enough to alert the whole neighborhood. They’re also great as light-up zipper pulls for people. What’s your favorite gear for your favorite dog? Anything you just can’t live without? 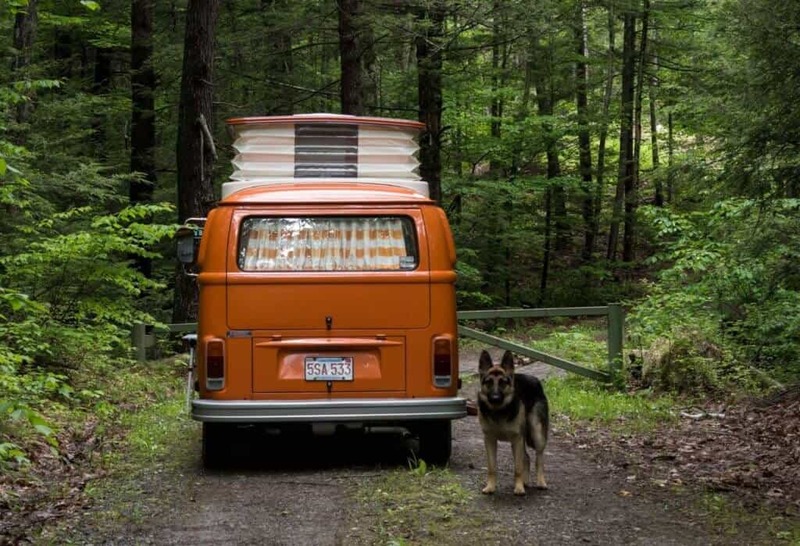 Does Your Dog Deserve a Road Trip? I LOVE this list. We currently have a cat, but we will hopefully have a dog soon and we are adventure people, and we know our dog will be. 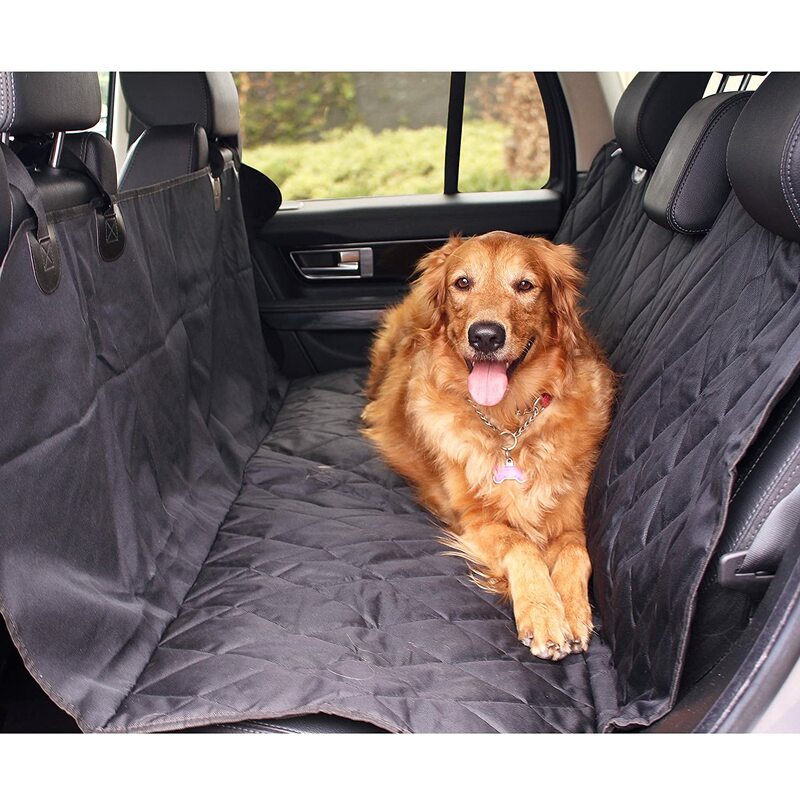 This is a great list and love that you have some personal reviews on the back seat cover and the dog packs. Sounds like a lot of dogs will be spoiled over the holidays. The seat cover has been a life saver in so many situations. Love it! This is a lovely post. 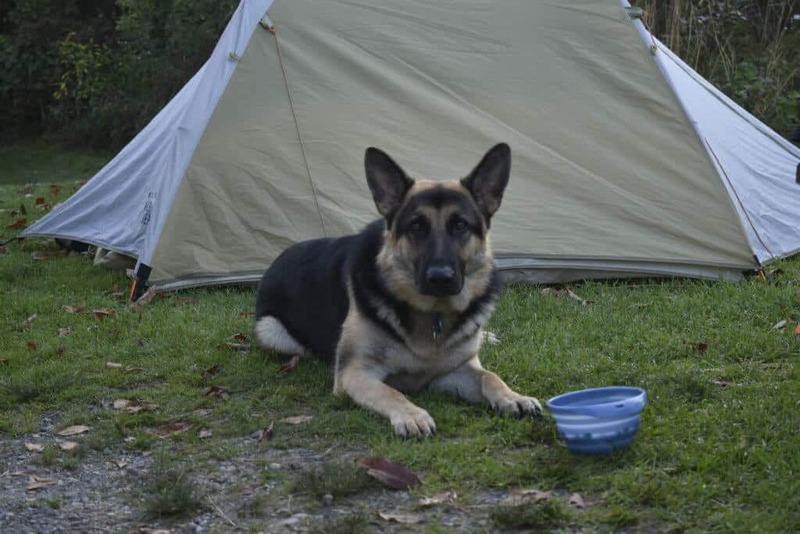 We don’t travel with a dog or have one for that matter but we know several people who would love to be introduced to this post. Thanks for sharing! Thanks, Rishabh and Nirali – Traveling with our dog is one of our favorite things, but definitely a bit more work. This made me remember my dog who also loves to travel. If only he’s still here, I’ll definitely get most of these stuff on your list and he’ll surely be really happy about it. Thank you so much for sharing this with us. Will surely share this to my friends who own an adventurous dogs. Oh my gosh, I love this so much! My pup (he’s an itty bitty little chihuahua/pug rescue) loves to be outside and play with us. Those little booties are need for him because his paws are so sensitive. I also like the little back seatbelt harness because he goes on loads of road trips! These are great ideas! So many people are traveling with their dogs these days that it make sense to have a range of travel gear specifically for them. Honestly some of these sound more fab for me than my pet lol like a car seat cover so they can’t shed on the seats and a hiking pack which would lessen the load on my back! Loving this list. My little Corgi, Kuma, would look so cute in the Ruffwear Hiking Backpack. I’ve never taken her hiking, but if I do, I’m getting this! I love this post! 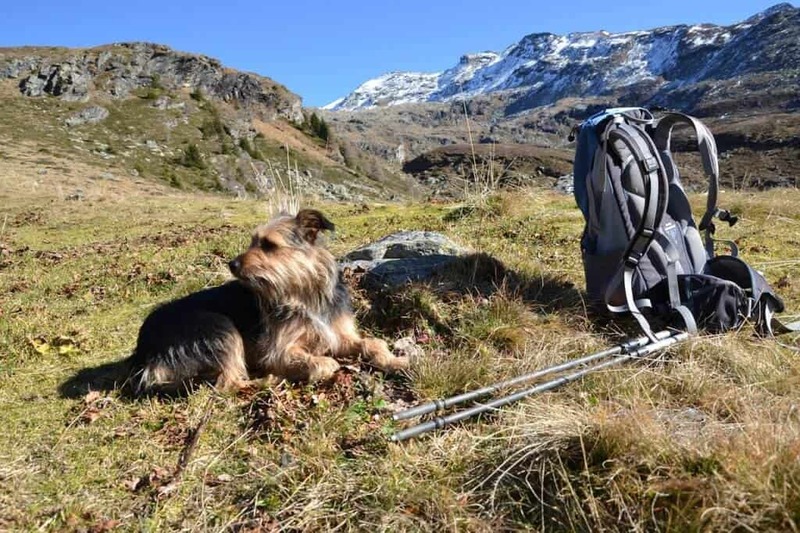 Dogs indeed inspire us to adventure, and are great company along the way. We miss having a dog after our 16 1/2 year old lab left us a few years ago, but we still have all his gear. Someday soon I know we’ll be adding to that! 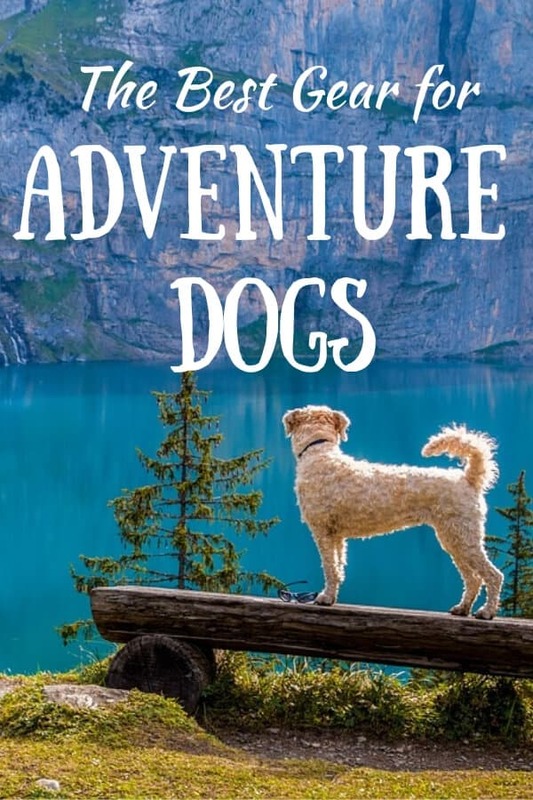 This seriously makes me want to get a dog to take on our adventures! I am head over heels in love with the idea of having a critter to take along our adventures! Especially national parks! All of these are great suggestions for gifts! aww so much stuff I didn’t know existed for dogs. I have a crazy dog that would love to go on adventures with me. These are definitely useful products. I think I would struggle to put a coat on her though. The LED light is so handy, especially in these winter months. I need to send this post to friends of mine who often travel with their dogs. The hammock style seat cover would be a great idea for them and the little collar light. It is so astonishing to read how many things have been invented for dogs. I have a cat, and I know how it feels like to buy the best for your pet. I have noticed in your article something that would fit my cats needs (or maybe more my needs) – the BarksBar Car Seat Cover. I always find a lot of hair in the car when I transport my cat from one place to another. This cover would be a great gift for her (or for me – less cleaning).